The president of the Global Council of Indian Christians (GCIC) appeals to the state's chief minister, asking protection for minorities. 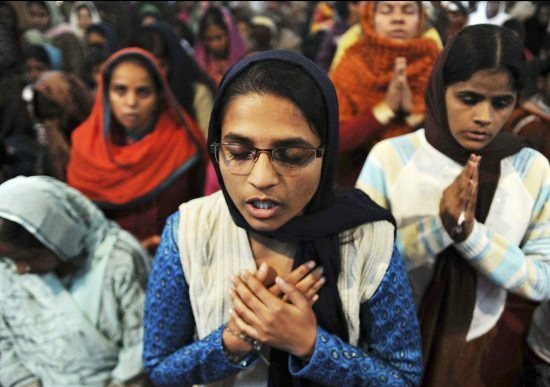 Over the past four months, Hindu extremists have carried out 21 anti-Christian attacks. In the latest case, a Protestant clergyman suffered a heart attack after he was beaten by fundamentalists and arrested by police. Mumbai (AsiaNews) - Hindu ultra-nationalists continue their "brutal and relentless" violence against Christians and churches in the Indian State of Karnataka, this according to Sajan George, president of the Global Council of Indian Christians ( GCIC ), who in a letter called on the state's Chief Minister Siddaramiah to intervene. The seriousness of the situation is such that the central government acknowledged the situation, defining the Karnataka one of the six states in which extremist forces are targeting minorities for their own political end. Last May, when the state went to vote, nine years of government under Hindu ultra-nationalist the Bharatiya Janata Party (BJP) came to an end after the Indian National Congress won the elections with an absolute majority. A secular and democratic party, Congress is in power at the Union level. Yet, attacks by militants from the Sangh Parivar (a Hindu extremist umbrella organisation) intensified, Sajan George said. Just in the last four months, the GCIC recorded 27 acts of violence against Christians, compared to four between January and June. The latest episode occurred on 5 October. Rev Anil Kumar, a Protestant clergyman in Hubli, was the victim. On that day, the religious leader visited a widow whose Christian husband, NB Holemarore, had died of cancer a few years ago, to hold a prayer vigil in his memory. The next morning, some Hindu militants armed with machetes surrounded the woman's house, preventing the reverend from leaving. Then they stormed the building, dragged Rev Kumar out, accusing him of conducting forced conversions, and beat him. The beating took place under the eyes of Siddapura police agents who had arrived on the scene. Instead of stopping the attack, they took the clergyman to the police station where they slapped him around and charged him with violating Section 109 of the Code of Criminal Procedure (concerning "suspected persons"). After he was released on bail, Rev Kumar suffered heart attack and was hospitalised in intensive care.